If you have the desire to recover to the A or B spot in Google Local search or you want to get more business from organic search reach out to me at jwojdylo@gmail.com. I offer several SEO, social media and Google Plus business page services. The Google Local search algorithm update is causing many business owners to panic and wonder why they are no longer in the A or B spot for their specific keyword phrases. The July 2014 Google Local Search Update is being called Pigeon by some online resources. Note that Google Panda, Penguin and Hummingbird were named by Google engineers but there is not an official name for this update yet. As soon as the name is released I will update the blog of the Wojdylo Social Media website. If you are a business owner looking to recover or return to the A or B spot of the Google Local search rankings it is likely the case that you need to improve the search signals for your website. As I continue to research this update it becomes apparent that the websites that rank higher are the companies that are showing up in the A, B and C spots of the Google Local search. The business owners that have built natural links and references with great content, the correct way to do SEO, have benefitted the most from the latest Google Search update. Just because your business is no longer in the A, B or C spot of Google Local search it does not mean you have been penalized. The best thing to do is an audit of your website. Where do you stand for your “money” keywords? Are you completely gone from Google Local and Google organic search? Have you checked Google Webmaster Tools to see if there is a dramatic drop in the overall impressions. Note that Google Webmaster Tools tends to be delayed by two or three days and sometimes even a week. Also recognize that the search results you are seeing might be different from search results from others. It never hurts to try your searches on an iPhone, Android phone, iPad or Android tablet. Try some incognito searches in which you are logged out. If you really want to get some true search results go to the local library or a public access computer location and search your keyword phrases. If you live close to an Apple Store you may want to stop by and hop on a MacBook. 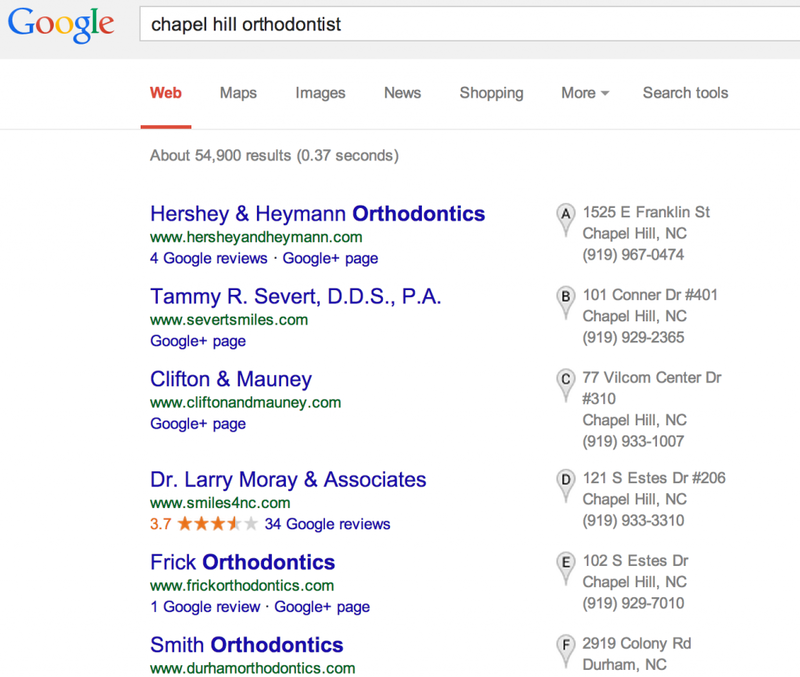 Type in the Google search and see where you stand in the Google Local search and the organic search. If you find you have truly been knocked out of the spot you desire you need to take action now. Once again, an audit is essential. This time you will need to audit your website. Go into Google Webmaster Tools and check the backlinks. Make certain there is nothing out of the ordinary going on. There are several locations in which you can check the backlinks. You will also want to check the backlinks for your most popular articles, pages and posts. Make certain you don’t have 30 or 40 links to one resource that are from websites that are no relevant. If you would like me to complete a full audit of your website feel free to reach out to me at jwojdylo@gmail.com and I can perform this task at a fee. To recover to the A or B spot you will need to make certain your website has a quality link portfolio and high domain authority. You will need links from a variety of valuable resources within your industry. It is also important to note that a large number of anchor text links for the same exact keyword, not your business name, can be detrimental to a website. In fact, you will want a significantly lower number of “money keyword” anchor text links than links such as “click here” or “this resource”. It makes much more sense that others would link to you for random phrases if they are naturally linking to your website. Building a quality link portfolio takes time and effort. It is not going to happen overnight. By looking at your competition, you probably notice they have a website that has been updated quite a bit in the last several years. They have likely also received natural links during all of these updates. Do not expect to go from page 10 to page 1 in a matter of days. That said, if you already have a quality link portfolio you may just need some tweaks to your YouTube channel, Google Plus business page and other resources that Google deems important for Google Local search results. Returning to the A or B spot will take a web presence that is more than just a location. Search signals are a large part of this Google update. If you would like to discuss how to improve your websites search signals through natural SEO reach out to me at jwojdylo@gmail.com. I offer SEO, social media and consulting packages that can help you get more business by returning to the top of the first page of Google search. Note that some service professionals have seen the Google Local search results completely disappear from search. At this point, it may be the case that you cannot recover or return which makes a strong web presence even more important. More on that type of scenario here: DUI Lawyers Disappear From Local Google Searches.